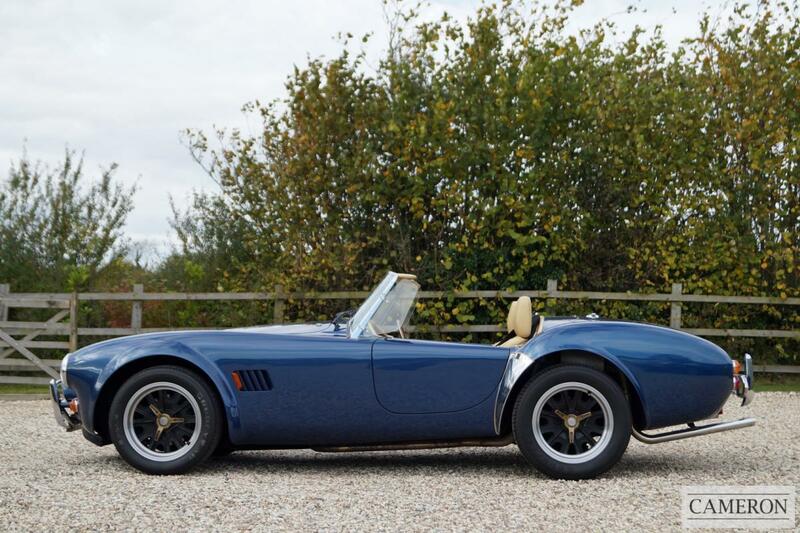 First registered in 1988, this stunning cobalt blue AC Cobra has covered a 14,000 miles and is presented in superb condition. 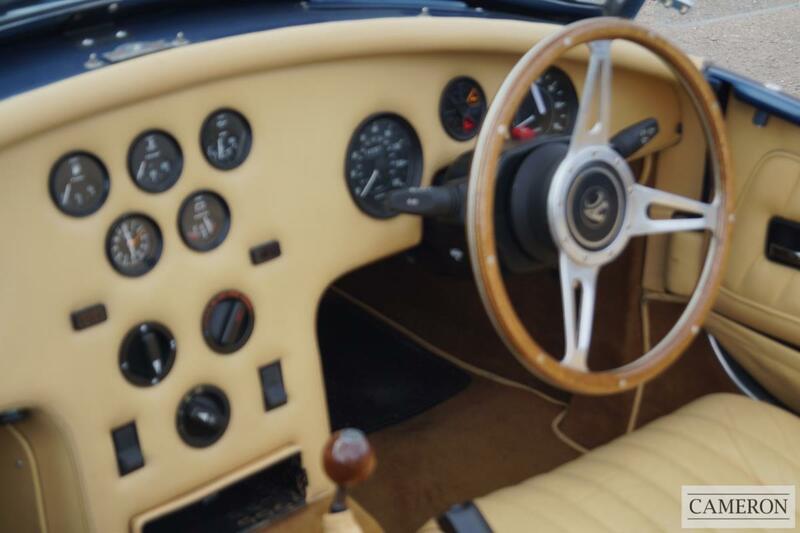 The dashboard has Tudor dials and include oil pressure, water temperature, amps, fuel level, speedometer and rev counter. There is also a discreet Sony stereo head unit mounted under dash. The Interior of these cars is wonderfully retro, simple and true to the feel of the 60's cars. 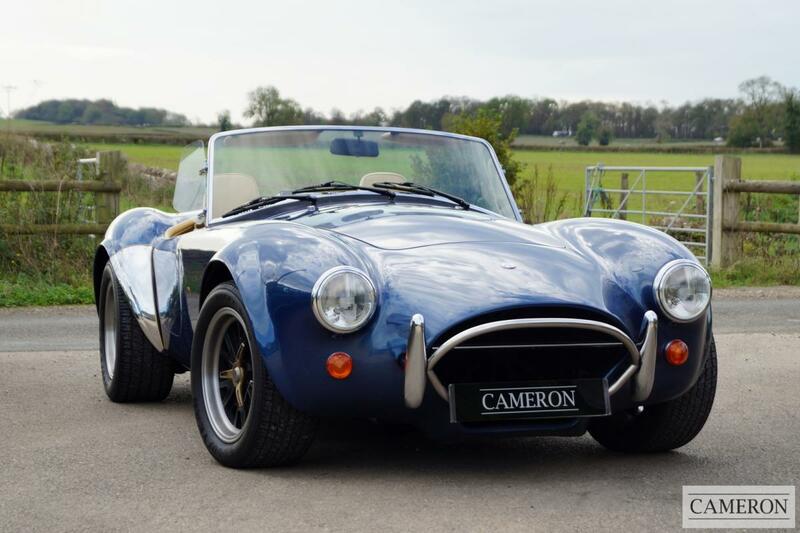 5.0 litre V8 fuel injection car producing 280 bhp and with its aluminium body moves very quickly. The engine is cooled via thermostatically set Kenlowe fans which eliminate any horsepower loss. Transmission is the proven Borg-Warner (Tremec) T-5 five speed transmission. 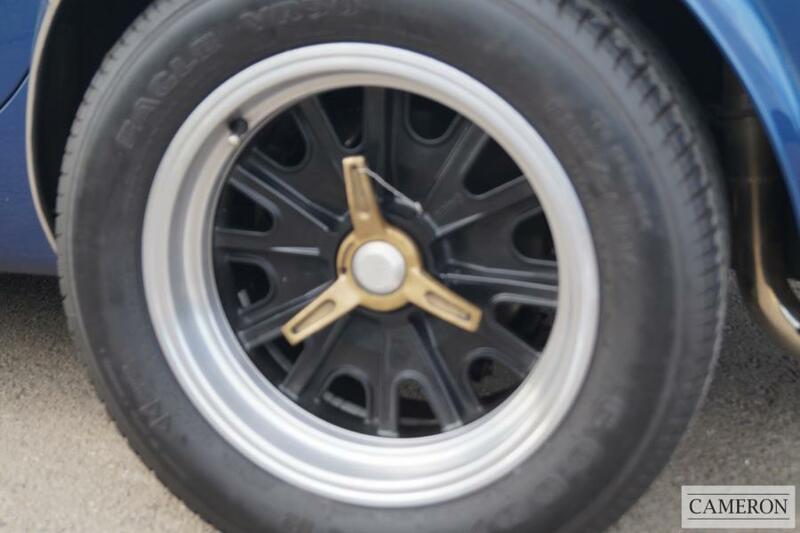 The MK-IV Cobra features a tubular steel frame which reduces weight and improves the ride. 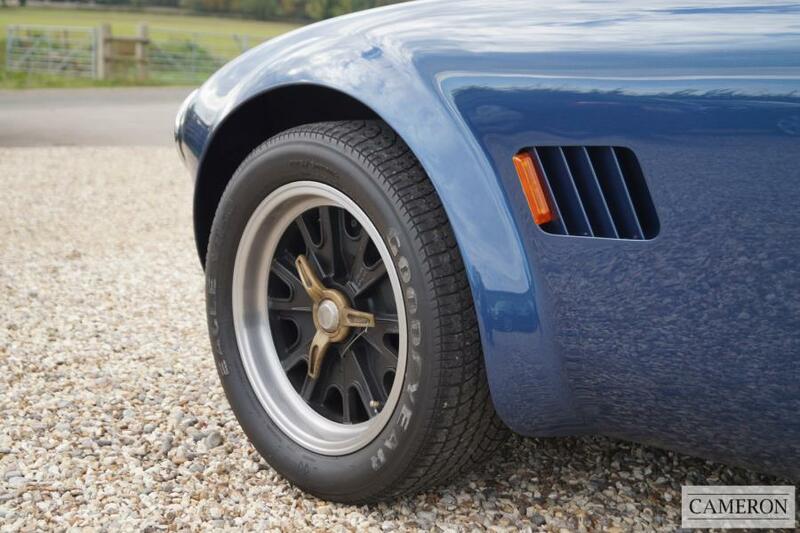 Just one of the reasons the MK IV is the car to have is the great handling, making this a fabulous drivers car. The car offered for sale is in outstanding condition, correct continuation car built by the factory that's a fraction of the cost of an identical period example. 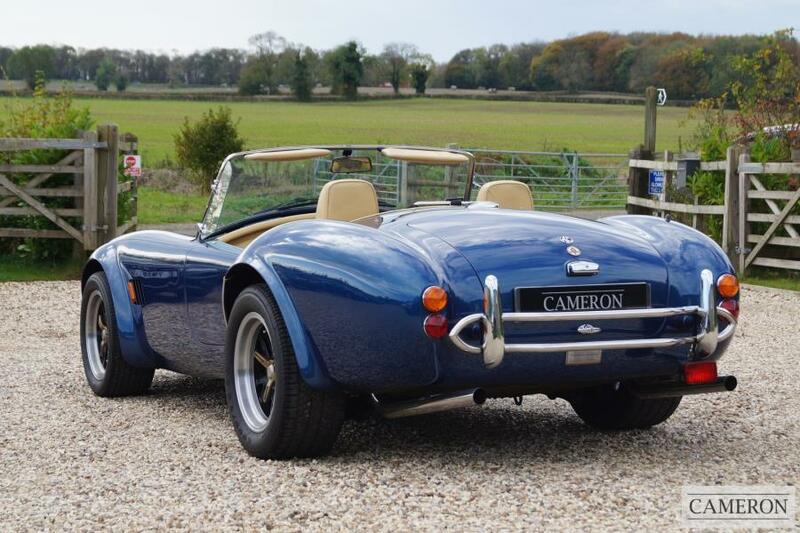 Comes with a fresh UK 12 months MOT & Fully Serviced. 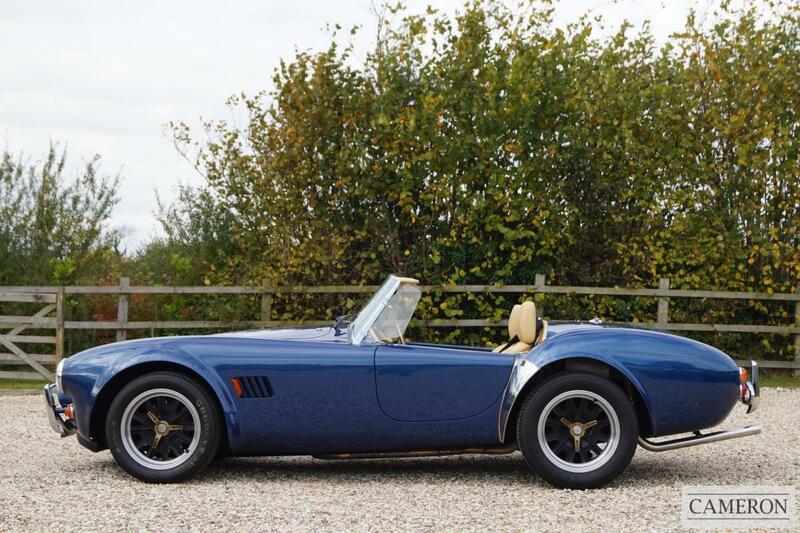 The AC Cobra is without any doubt the most sought after classic super sportscar. This is the reason why so many replicas and kit cars took inspiration on this great AC Cobra model. 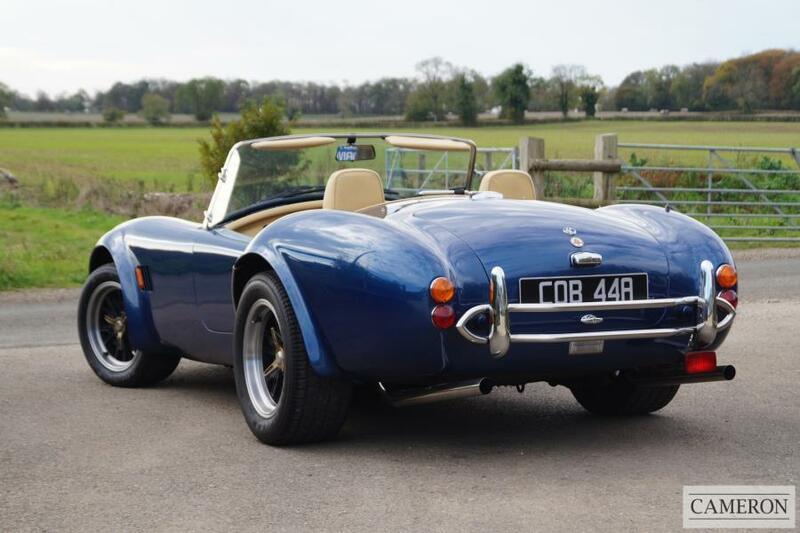 The combination of a beautifully designed tubular chassis by Tojeiro, an ultra-light aluminium Italian barchetta style body and Carroll Shelbys genius idea to shoe-horn into the chassis the very strong and reliable Ford V8 small block engine was the initial recipe. 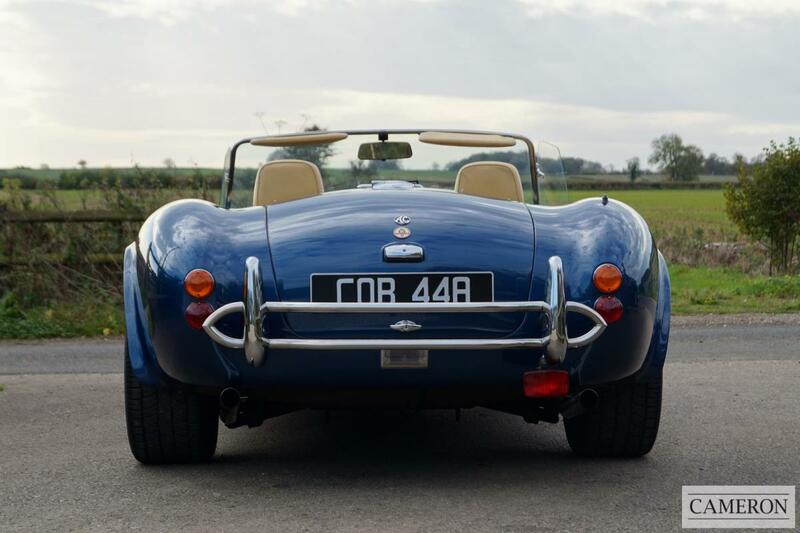 From the original versions (MKI MKII and MKIII), built between 1962 and 1967, only approximately 1,000 were produced, but fetch today on the collectors car market astronomical prices, although ironically a failure in the sixties. After a short Frua bodied coupe episode, which wasnt very successfull, things led to the bankruptcy of AC in the late seventies. 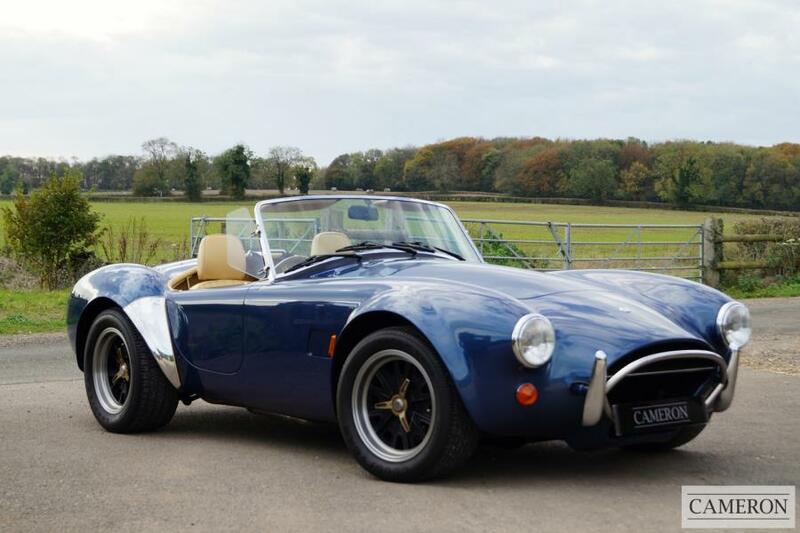 The companys tooling and eventually the right to use the name, were licensed by Autokraft, a Cobra parts specialist and replica car manufacturer owned by Brian A. Angliss. 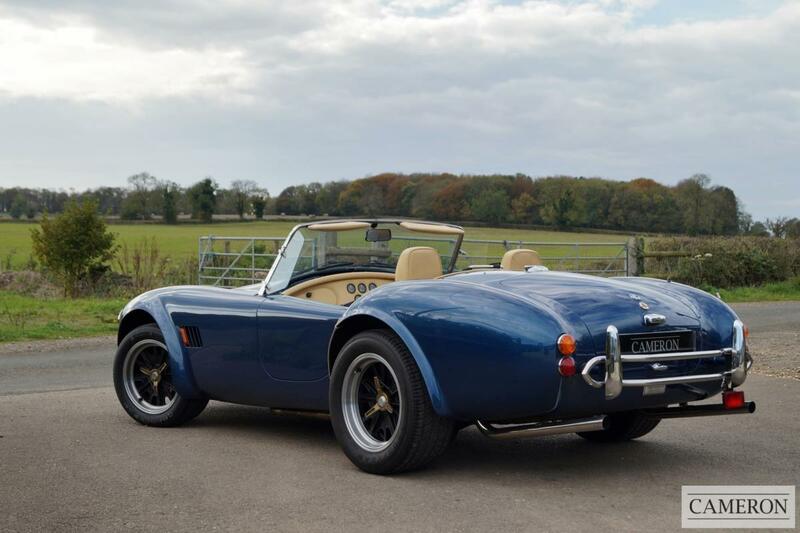 In agreement with Carroll Shelby, the last version MKIII car, of which only 327 were produced in the sixties, would appear again in 1982 with some modifications as the Autokraft MKIV, basically an AC MKIII car with a 5.0L V8 and a Borg Warner T5 Transmission.